The Philadelphia Union defeated the New York Cosmos 2-1 at PPL Park in Philadelphia Tuesday night. They will advance to the next round of the U.S. Open Cup. There was no shortage of intrigue at PPL Park in Philadelphia for the New York Cosmos fifth round U.S. Open Cup match against MLS side Philadelphia Union. It had everything from goals to ejections, and unfortunately, none of it led to a Cosmos victory. A 115th minute penalty from Union forward Sebastien Le Toux ended the Cosmos hope of a deep tournament run. It propelled the Union to a 2-1 victory and into the quarterfinals against the winner of the New England Revolution and Rochester Rhinos. Once New York settled in, the game suddenly became a back and forth affair as the first half progressed. In the 18th minute, defender Roversio nearly put the Cosmos in the lead as his header off a corner kick went wide. "Give credit to our guys," said Cosmos defender Hunter Freeman after the match. "We created some chances." Philadelphia responded in kind with two major chances: Forward Sebastien Le Toux nearly got the best of goalkeeper Jimmy Maurer, who was coming out of the box to clear a ball, and a shot from Union forward Andrew Wenger went just wide. The teams continued to battle one another, but while both sides managed to get into the 18-yard box, neither the Union nor the Cosmos could find the back of the net. An injury to Cosmos midfielder Joseph Nane forced a substitution in the 37th minute, bringing in midfielder Dane Murphy, and the stalemate continued. After Nane’s substitution, it was all Union in the last ten minutes of the half. Philadelphia bent but didn’t break the Cosmos back four, especially in the 40th minute when midfielder Christian Maidana played a pass into the box, only to see it saved by Maurer and the rebound shot by defender Amobi Okugo went just wide of the mark. Just as stoppage time began, the Union nearly had another chance, but midfielder Maurice Edu’s cross in was punched out of the box by Maurer yet again. The second half opened much like the first, with both teams playing fast and physical, trying to get an opportunity to jump ahead. Philadelphia nearly gained the lead in the 52nd minute off of yet another set piece, but Maurer remained stout in the net, and Roversio aided him on another Union chance one minute later. And then, it happened. Forward Alessandro Noselli caught Union goalkeeper Andre Blake too far out off his line and effortlessly lifted the ball towards the net to put the Cosmos ahead. Unfortunately for the Cosmos, that lead lasted for about 45 seconds. Coming off a ball into the box from Andrew Wenger, Sebastien Le Toux struck to level the game. 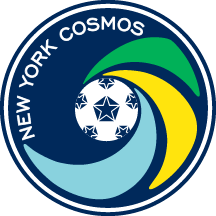 "I respect their team," said Cosmos head coach Giovanni Savarese. "They came to play." Looking for a spark on the outside wings, the Cosmos brought on forward Jemal Johnson in the 60th minute to bring some added speed. Chances for each team came few and far between in the next 20 minutes, but Philadelphia had the better of the opportunities. A 66th minute header from Wenger nearly put the Union in the lead, and Okugo’s shot on goal was blocked by a last second Roversio slide tackle. The Cosmos began to show signs of fatigue as the game entered its waning stages, and although they received a free kick inside 25 yards, they couldn’t make anything of it. With both teams level at the end of regulation, the match entered stoppage time. Between the 90th and 105th minute, both sides got good looks at the net, but once again, neither side could convert. A non-call on a Mads Stokkelien in the box ruled out a potential penalty, and the match remained scoreless. "I think it was a penalty, one hundred percent," said Stokkelien. "I got a good ball in behind the defenders from Noselli, then someone came in and knocked me down from the back." The second half of extra time brought more intrigue, as Cosmos assistant coaches Alecko Eskandarian and Carlos Lllamosa, Union midfielder Michael Lahoud and Cosmos defenders Jimmy Ockford and Ayoze all were ejected following a successful penalty kick in the 115th minute by Sebastien Le Toux. Tempers flared and the next ten minutes were mired in shoving, yelling, and multiple cards. Once the dust settled, the whistle finally blew and the Cosmos left the field with a 2-1 loss. 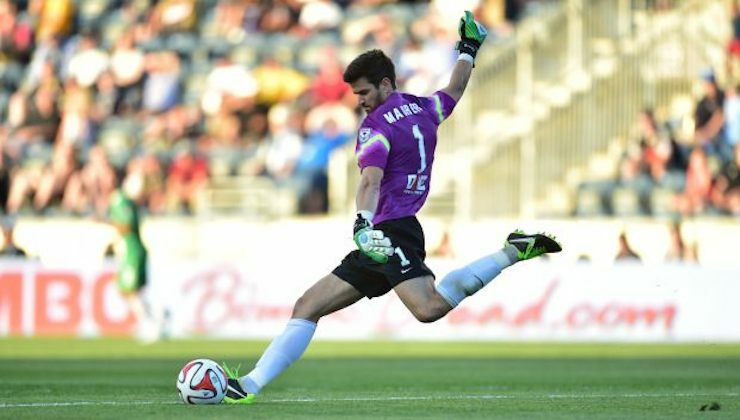 They now wait for the NASL Fall season to start, on July 12th. "I don't think I've ever seen that," said Stokkelien of the match's flurry of ejections. "We fought so hard for 120 minutes. We felt that we deserved better."